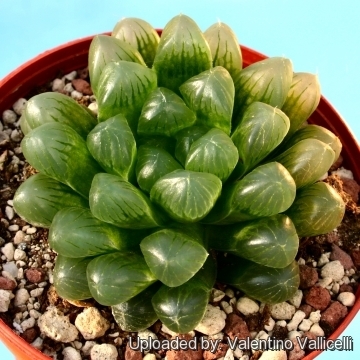 This is a very quickly offseting and smaller growing form of H. cooperi with round-tipped lovely blue-green translucent-patterned leaves. 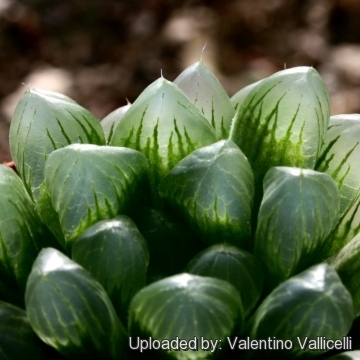 Very attractive and can be propagated by rooting the offsets. 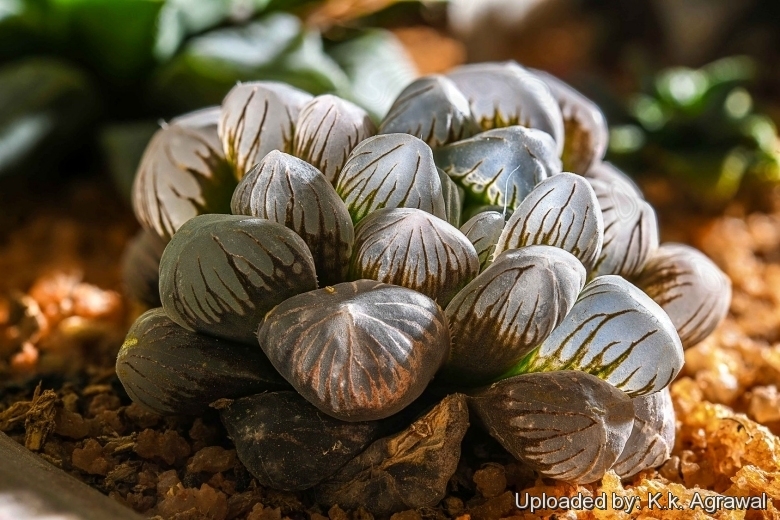 Description: Strange spreading stemless plant that looks like a small grape cluster and makes fat little colonies, up to 7,5 cm in diameter. 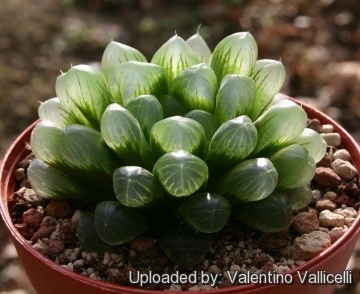 Leaves: 20 to 25 per rosette, succulent soft and glassy (almost transparent) round-tipped somewhat spherical with lovely blue-green translucent-patterns, leaves become reddish with too much sun or not enough water. Notes: Fenestrate leaves: This plant is a choice example of the window-leaf ( fenestrate leaf) adaptation found in many Haworthias, Mesembreanthemums and Peperomias, the translucent 'glassy' windowed apices allow light into the internal plant body rich in chlorophyll-bearing layers of cells, thereby providing a much larger assimilation area. The windows greatly increase the photosynthesizing area by allowing light into the centres of leaves and at the same time avoiding water loss. Cultivation and Propagation: There's no difference in cultivation from usual plants of this type. Though it grows more slowly. Exposure: Needs light shade to shade. Watering needs: Regular water (They enjoy a little water during winter period too) but do not overwater as they will most likely wind up with root rot, and do not water again until dry! Hardiness: Hardy to to -5°C (or less if dry).